One of my favorite backyard birds to photograph is the tufted titmouse. They are frequent visitors our feeders. 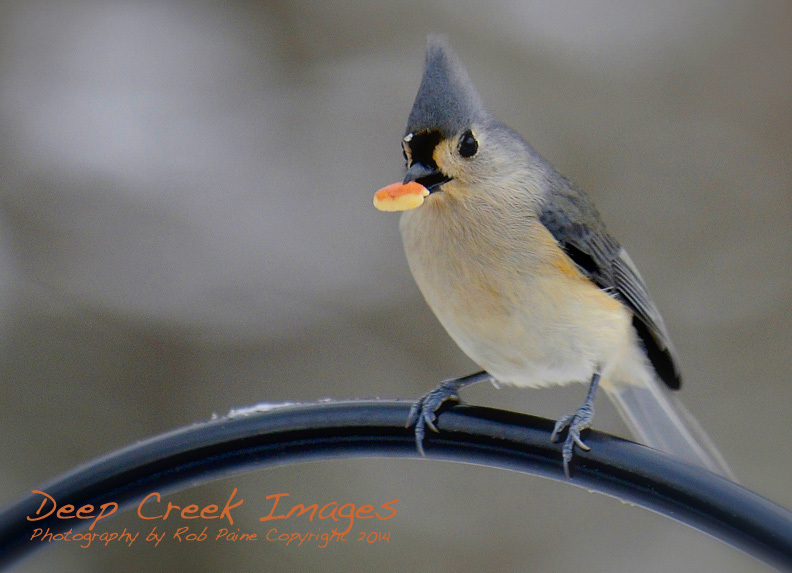 More notably, titmice have a lot of personality and color. I caught this titmouse with its mouthful after it had just swooped into a feeder.